President Drew Faust moderates a February 22 discussion of the human genome map's impact in the 10 years since its first publication. 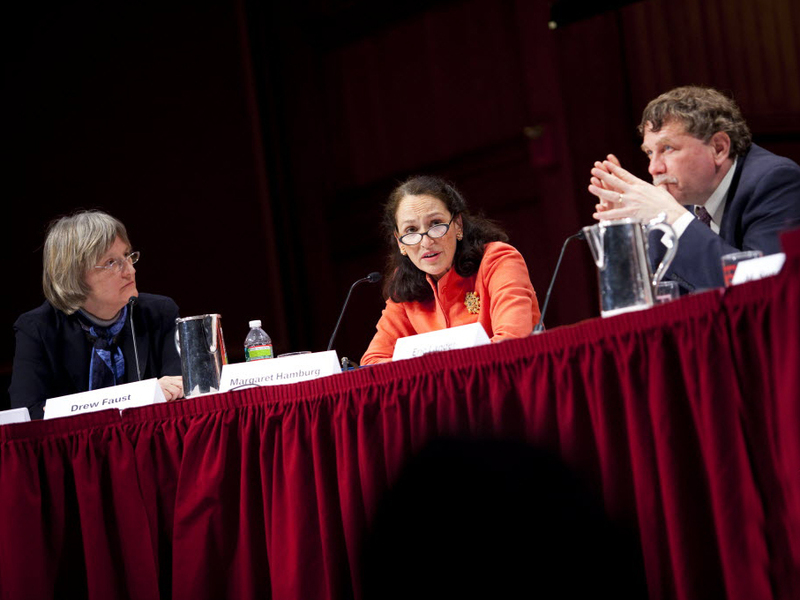 Also shown are panelists Margaret Hamburg ’77, M.D. ’83, commissioner of the U.S. Food and Drug Administration, and Eric Lander, president and founding director of the Broad Institute of Harvard and MIT and professor of systems biology at Harvard Medical School. In the decade since the first mapping of a human genome in its entirety, the pace of discovery enabled by this new technology has, in different ways, both exceeded and fallen short of expectations, professor of systems biology Eric Lander said at a February 22 panel. Journalists and the public, on the other hand, were overly optimistic, hoping for disease cures within a few years, Lander said. “Real scientific revolutions are measured in a period of multiple decades,” he said, noting that 60 years passed between the discovery of the germ theory of disease and the successful use of antibiotics to treat illness. Vicki Sato—professor of the practice of molecular and cellular biology in the Faculty of Arts and Sciences and professor of management practice at Harvard Business School—reminded the audience that 10 years is roughly half the time it takes for a drug to go from an idea dreamed up by a researcher to a medication approved by the Food and Drug Administration (FDA). Drug development may take patience, but Sato—who was president of Vertex Pharmaceuticals from 2000 to 2005—pointed out that already, knowledge of the human genome has changed the vocabulary we use to describe disease. Cancer, for instance, is no longer thought of as a monolith; physicians speak now of different types of cancer based on location in the body. In some instances, it is possible to use genetic information to get even more specific: Sato noted that doctors can now distinguish between aggressive prostate cancer, requiring aggressive treatment, and non-aggressive prostate cancer, where the prudent course of action is to watch and wait rather than treat. But that path is not always smooth or straight. 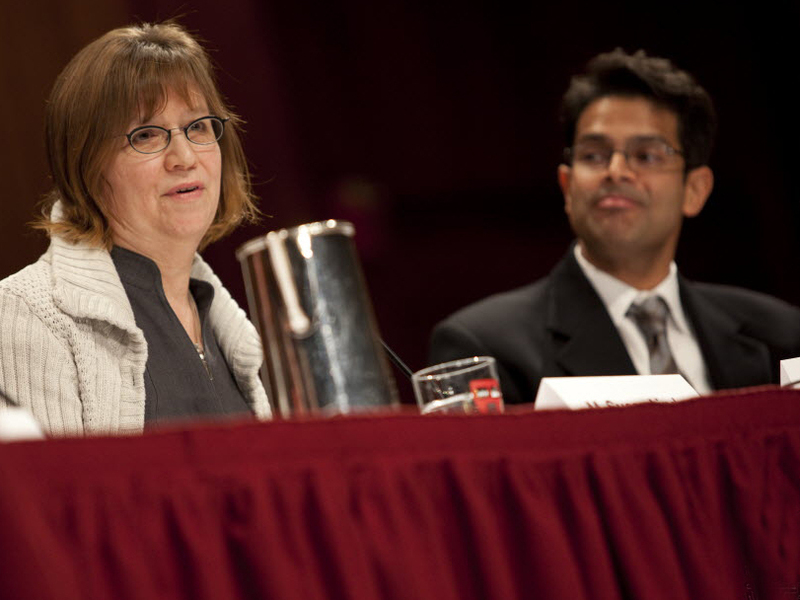 M. Susan Lindee, professor of history and sociology of science at the University of Pennsylvania, spoke about cystic fibrosis, a disease that has not been cured even though its genetic roots were identified in 1989. The disease is caused by a mutation in the CFTR gene, which regulates the production of mucus, sweat, and digestive fluids. The most common such mutation, ΔF508, has been added to routine genetic screening in some locations—and, Lindee noted, the number of children born with this mutation dropped by 50 percent in a single year in California after the state began testing prospective parents for it. Lindee also noted that scientific advances in genomics are presenting novel ethical dilemmas. It is “surprisingly common,” she said, that lab scientists, in testing a patient’s DNA, discover that the man the patient thought was his or her father is not genetically related. Commissioner of Food and Drugs Margaret Hamburg ’77, M.D. ’83, also voiced concern for ethical issues—for example, the possibility of discrimination on genetic grounds. 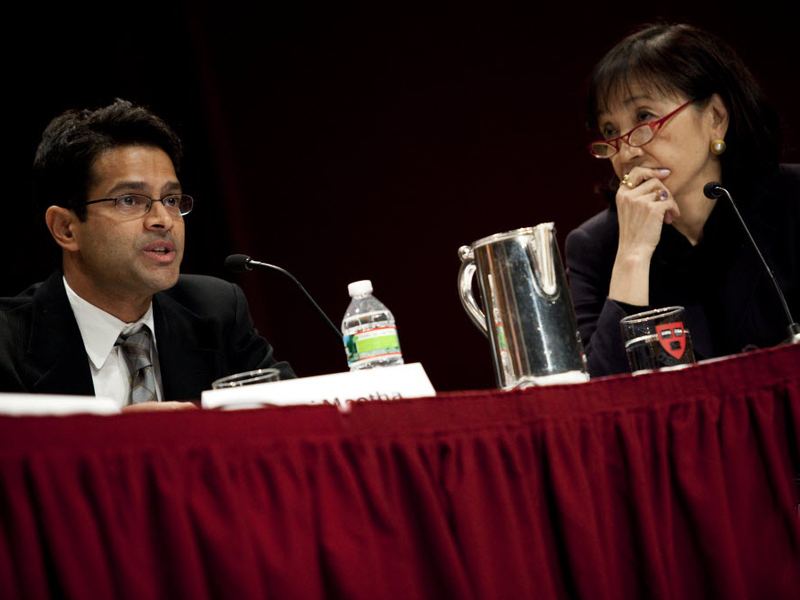 Vamsi Mootha, associate professor of systems biology and of medicine at Harvard Medical School, said the doctors of the future will need to understand probability theory and databases; they will need to know how to read and analyze a patient’s genome, he explained, and medical education must be updated accordingly. But as to the bottom line, he said: “I couldn’t think of a better time” to be embarking on a career in the biomedical sciences.